The developer revealed high Apple Watch usage in the release notes for its revamped Slopes app, which hit iOS and watchOS on Wednesday. The update coincides with a number of other mountain-focused app updates that dropped on Tuesday, to allow fitness tracking from skiing and snowboarding on Apple Watch Series 3 and watchOS 4.2. 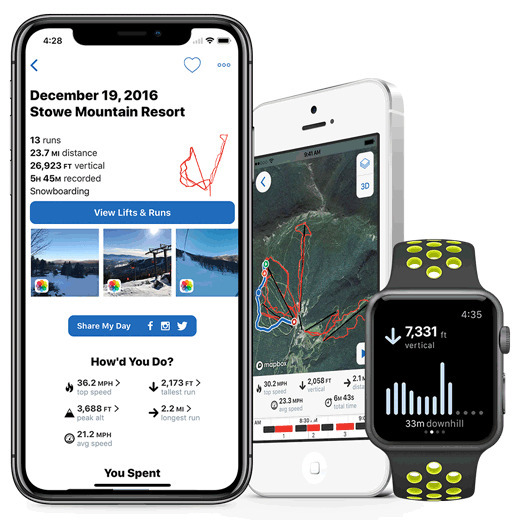 For Slopes, 25 percent of skiers and snowboarders using the app start recording via Apple Watch, rather than the iPhone app. 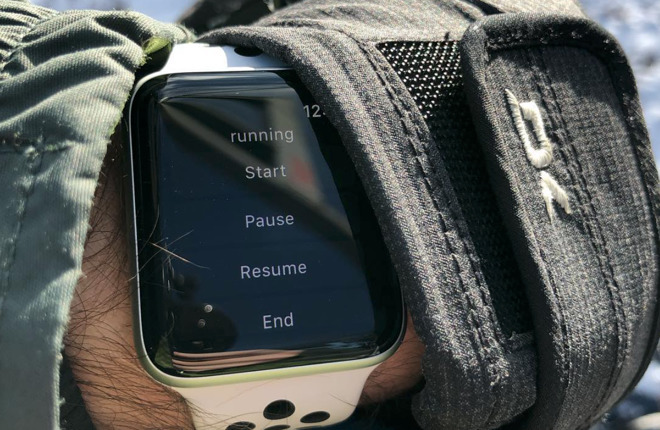 With the new update, the watch will become even more appealing on the mountain, turning Slopes into a full-fledged workout app, complete with Activity ring credits. The update also allows all skiing and snowboarding apps to become the default app to show when the user raises their wrist, just like with the native Workout app. Other winter sports-focused Apple Watch apps updated on Wednesday include snoww, Squaw Alpine, Snowcru, and Ski Tracks. Apple's enhancements to watchOS allow skiing and snowboarding apps to tap into the Apple Watch's heart rate monitor, allowing for more accurate measurement of calories burned. Apps can also connect with the Apple Health platform. And with Apple Watch Series 3, native apps can accomplish these tasks without the use of an iPhone nearby, using built-in LTE data. In addition, Series 3 and Series 2 models with GPS can track distance and speed on their own, even when cellular reception is spotty or nonexistent on the slopes. The success of Slopes for Apple Watch comes as other developers have publicly lamented the limitations of WatchKit tools for developers, asserting that Apple itself does not build native Apple Watch apps with the same capabilities provided to third-party app creators. Marco Arment, creator of podcast player Overcast, sparked a discussion this week when he declared that the current watchOS tools will only allow developers to create "baby apps" that are not nearly as fully functional as they could be. "Developing Apple Watch apps is extremely frustrating and limited for one big reason: unlike on iOS, Apple doesn't give app developers access to the same watchOS frameworks that they use on Apple Watch," Arment wrote. "Instead, we're only allowed to use WatchKit, a baby UI framework that would've seemed rudimentary to developers even in the 1990s."